On 1st August, the pay TV giant is closing down its Asia Pack and redistributing the channels so that they are available with any Sky TV bundle at no extra cost. This affects channels such as B4U Movies, Sony MAX and Zee TV. Subscribers to the Asia Pack will see their monthly Sky TV bill reduce as a result. Subscribers with just the main Sky subscription channels will gain access to the Asian channels automatically from August. Coinciding with the changes, Sony MAX and Sony Entertainment TV (Asia) will launch HD channels. Sky is advising that the HD versions of the former Asia Pack channels are only available to subscribers with the Box Sets bundle (formerly Family Bundle). The changes come as Sky faces increased competition in the Asian TV sector: once the dominant platform for Asian TV in the UK, the only choice in non-cabled areas, internet streaming platforms increasingly offer viewers additional choice from the sub-continent. Dave and Home have gone free-to-air ahead of their launch on Freesat on 1st August. Alongside their already free-to-air sister channels Drama, Really and Yesterday, the channels are available on Astra 2E. Freesat viewers will automatically get the channels added at the beginning of August, any boxes that fail to add the channels by the morning of 2nd August (some older receivers wait until overnight to add services) will need rescanning. Dave will appear on channel 157, while Home will appear on 166. HD and plus one channels remain encrypted. The free-to-air reality channel is moving channels on Sky, according to ITV. ITVBe will move to channel 149 in August in England, Wales, Northern Ireland and the Scottish Borders. Could Sky face a price rise? Recent press reports hint that Sky could end up being on the receiving end of a demand for more money from ITV. Legislative changes and Sky's plans to offer a dish-free version of its TV service next year may put the company in the firing line for a future demand from ITV. 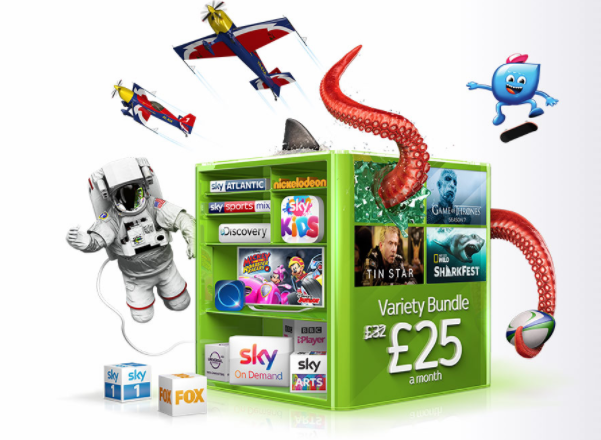 Sky and ITV currently have on-going deals in place covering satellite, on-demand and Sky Go services. First though, ITV wants to extract more money from cableco Virgin Media following changes brought about by the Digital Economy Act. New Dutch pay TV operator Joyne is preparing to launch on 1st August 2017. Until then, it's possible to watch all the main channels from The Netherlands testing on a free-to-air basis via the Eutelsat 9B satellite at 9°E. Regional channels are broadcast on two carousel channels, each getting an hour of airtime during primetime. The tests provide a rare free-to-air glimpse at Dutch TV, which is usually encrypted on satellite, with the exception of international channel BVN. Joyne is going head-to-head with established Dutch satellite TV operator Canal Digitaal, which in the past 18 months moved all of its services to Astra 3 (23.5E). Joyne will use a Conax-based virtual smartcard system once the encryption is fired up. German TV channel Family TV has had its broadcast licence revoked, but still continues to broadcast on Astra 1 (19.2°E) regardless of the decision. The local media authorities in Baden-Württemberg took issue with the channel broadcasting programmes without appropriate copyright clearance. Viewers have shared footage on social media and internet forums of instances appearing to show Family TV showing recordings from other channels, with the picture either cropped to edit out the original channel's DOG or putting another graphic on top of another channel's branding. The owners of Family TV, ITV Media Group - nothing to do with the original ITV of London - say they will keep broadcasting. A legal process is now underway. Euronews has reinstated its German-language feed on satellite, apologising to viewers for the inconvenience caused when the news channel, soon to become Euronews NBC, withdrew its multi-lingual feed in favour of localised versions. It led to broadcasters that show Euronews in their downtime being observed rebroadcasting the wrong language version. Euronews German SD is broadcast on the same Astra 1 (19.2°E) frequency as Euronews French SD. For English-speakers, Euronews English is available on Hotbird (13°E) (also in HD) as well as SD-only on Astra 2 (28°E) for viewers in the UK and Ireland.